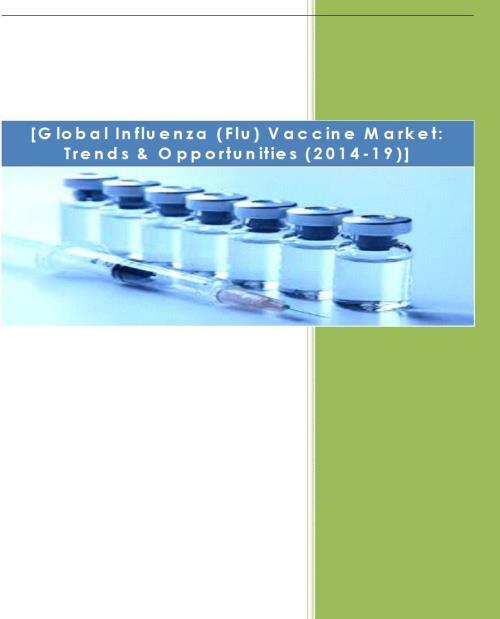 “Global Influenza (Flu) Vaccine Market: Trends and Opportunities (2014-2019)” provides an insight into the market dynamics and various trends and opportunities associated with the global Influenza vaccine market. It covers the global market size and growth dynamics of the influenza vaccine market in past five years. The report further forecasts the market size for the coming five years along with factors that could influence the market dynamics in the projected period. The report also captures the market share based on major players in the market. Further, the report also analyzes the domestic Influenza vaccine market of United States, Japan, Germany and United Kingdom. The report concludes with a brief discussion of key factors trending in the global influenza vaccine market and profiles major players like Sanofi, Abbott Laboratories, Novartis, CSL and Glaxo Smith Kline. With the advancement in technology and discovery of new products in the field of medical sciences, vaccines have gained crucial position in the pharmaceutical industry. Vaccines are considered as the most effective health intervention ever developed, saving innumerable lives. The vaccine market is growing at a steady pace, mainly because of the various existing and emerging diseases which can only be prevented with the help of vaccines. Scientists are continuously engaged in the research and development of effective vaccines to eradicate all major life threatening diseases. There are various organizations namely the Global Alliance for Vaccines and Immunizations (GAVI), World Health Organization (WHO), the World Bank, the United Nations Children's Fund (UNICEF) and Bill and Melinda Gates foundation, which supply vaccines at subsidize rate or even free of cost.